We are excited to announce that Cassidy Barton has joined the Advent GX team as Director of Community Development. In this capacity, she focuses on the development of projects and experiences that enhance quality of life and economic vitality in the communities we serve. 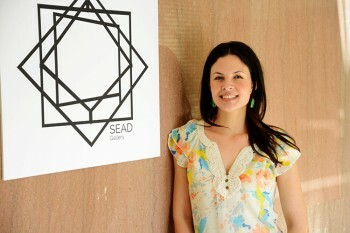 Cassidy has particular expertise in cultural and heritage experience creation and was a key member of the team that created SEAD Gallery, featuring fine artworks by regional artists and presented in partnership with Arts Council of Brazos Valley. Prior to joining Advent GX, Cassidy served as the Executive Director of the Downtown Bryan Association, providing leadership and logistics support for activities and events Downtown. During her tenure, Cassidy was the face and voice of Downtown, routinely appearing on television and radio promotions. Cassidy has extensive knowledge of arts and culture as a foundation for local economic and community development, having contributed to the formation and implementation of programs and venues downtown such as Texas Reds, Lights On, First Friday, Art Step, Rock the Republic, Grand Stafford Theater, the Innovation Underground and SEAD Gallery. She as degree in Liberal Arts from the University of Texas at Austin.